This morning, you opened your eyes, and the whole world seemed different! There was a crown laying next to a case of discontinued Guerlain perfumes on your nightstand, all of your diminishing perfume favorites had been topped off and were sitting next to the Guerlains and … and a note! I have noticed your struggles – the blown budget, 1,000 new releases so far this year, IFRA reformulations. I truly do empathize with your plight, despite how greedy you are annoyed you appear. You have been made Ruler of the Universe with absolute power over all things perfume, and you can make either three decrees concerning perfume rules or make three perfume wishes that will be granted as soon as I get around to it. Choose wisely. It’s Play Ruler of the Universe Day! You get Three Decrees (Perfume rules) or Three Perfume Wishes (three perfumes you want desperately, and you can reach back into history as far as you want to pluck them out) – you can combine and have one rule and two wishes or 2 rules and 1 wish. What will you choose? We are on our way to New York for Sniffapalooza, (Musette is talking at lunch Saturday – we may never get out of there!) so y’all are on your own until we curl up tonight over Chinese and start reading what outrageous things you’ve wished for. When we are back I’ll pick two random winners from comments, and I’ll put together something fabulous from whatever cool stuff we got at Sniffa – samples, swag, used chopsticks, you know, something really great! (well, first I want Patty to let me use COLOR! But it’s Her Post. And She Says NO!) so…..
1. I want…I want…well I REALLY want Amouage to create ‘this’ body cream: Tribute Attar’s notes, with the ‘smoky’ dialed down a bit (just a tad for the cream) and the rose/jasmine amped UP (but not crazy-amp. Just to 11). And a touch of rich, buttery leather thrown in. I would like that in one of those Big Box Store mayo-jar sizes …I’ll take 6 of those, please. Oh, hell. I’ll take 10. 2. The once-venerable House of Coty: Listen UP! I want you to reissue the originals – in their original formulations (hey, this is a fantasy! )…..La Rose Jacqueminot, Chypre, Paris, Emeraude, L’Origan, L’Aimant. Ambre Antique. Reissue them in Art Nouveau-style bottles (but not so expensive that the Posse can’t afford to buy them). LE the hell out of them at BG and NM. Do so every year in the Spring (because I like Spring). Thank you. 3. A vintage Mitsouko gift coffret. Yes. Pure parfum. Eau de Toilette. Body cream. Body lotion. Hair oil. Hand cream. Foot cream. Soap. Nail polish (okay, I’m joking about the nail polish). First issue. In as perfect condition as the day it was made. New Rule No.1 No more than 5 releases per year from any house. Why, because I said so. New Rule No. 2 IFRA will be dismantled. Wish-I’d like a huge bottle of vintage Chanel Cuir de Russie. 1. Kilian Hennessy as my love slave. 2. A bespoke perfume from Bertrand Duchaufour. 3. A bottle of Djedi. It’s late and I’m lazy so here are three random wishes. If a fairy actually appears I reserve the right to make these more lavish and creative. 2. Vintage Dawamesk. New in box, of course. 3. Jean Paul Guerlain back in charge at Guerlain. 1. SAs at frag counters spontaneously offer samples to customers who show interest and/or knowledge beyond the newest releases; SAs are knowledgeable and professional. 2. A selection of Caron urns appears on my dresser, then disappears in a few weeks to make room for new ones. 3. As much Parfum Sacre extrait as I could reasonably use in my lifetime. I want perfume to get less and less expensive every year. Oh, and I’d like a full bottle of Gobin-Daude Nuit au Desert. While you’re at it, please order up Iris Gris for all of us! And when I’m Ruler of All, that’s only going to run you about twenty bucks a bottle (50 ml), with free shipping! 3) IFRA bureaucrats catch the oakmoss-deficiency syndrome, with Jasmine-reflux complications. Is it serious, doctor? Yes, very much…it is deadly and causes all IFRA laws to be revoked: they are obviously so unhealthy!!!! Not too much to ask? I just love this sort of post! I have too many old favourites that I would like to be resurrected, so the fairy would get cross at me. When I was a little girl and read the stories about getting three wishes, I could never understand why nobody ever said that one of their wishes would be to have countless more wishes! Problem solved. I guess that’s cheating ….. but think how many perfumes I could have back, and how much oak moss I could roll around in and how much extrait I could bath in! 2. Vintage Coty Vanilla Fields, for sentimental reasons: it was my favorite of all my mom’s perfumes when I was a little girl. I used to steal it all the time, often spray it on my pillow before going to sleep. I also remember my mom giving me a kiss goodnight, and smelling Vanilla Fields on her clothes. It was so comforting. One of my best childhood smells, I miss it. 3. Easier access to niche fragrances/samples in my country. An unlimited perfume budget so I can but what I want, when I want. And I wish perfume houses would re-release some of the discontinued scents that everyone seems to pine away for. Even if it were just for a short time as a limited edition, just so we could get our hands on some of the old favorites. Honestly though, just getting rid of IFRA would improve things immensely. 1. Gobin Daudé perfumes come back and stay back. With a new one added by Ms Gobin Daudé every two years or so. 2. Perfume houses have a sudden urge to re-issue their vintage scents. Exactly the way they were. IFRA thinks that’s an excellent idea and promptly de-activates all of the oakmoss-etc.-restrictions. 3. SAs hand you samples of everything you might like. Instead of looking at you as if you were a slimy, bug-eyed monster asking for their blood. Bring me Guerlain Iris Ganache, lots of it. My only rule is that every fragrance I really love comes in a bottle that is never empty, like the cut’n’come again Magic Pudding. Everyone’s answers are great, you are all so witty! 1. Absolutely no more restrictions on perfume ingredients – buy at your own risk, citrus-phobics or those who break out in zits at the sniff of oakmoss. 2. Free samples at all perfume counters, of all the available perfumes, in unlimited quantities, and with a smile and a little skincare sample or five thrown in for good measure. 3. All perfume available for sale MUST also be sold in a basic 10 ml starter bottle at a realistic price (no marking up the tiny bottles exorbitantly). No exceptions. Hester, love that 10 ml bottle idea — just perfect!! Here, here, for Wish #3!! 1. One of those Star Trek replicators that could produce a perfect bottle of any perfume, any concentration, and any size desired. 2. A special perfume-only, temperature and humidity controlled room in my house to store all the bottles produced by the ‘fume-plicator (see point 1), with lots of never ending Narnia-like wardrobes/cabinets inside. 3. For a complete stranger to come up to me and say “You smell fabulous, what perfume are you wearing”. Yeah, why can’t they invent #2 at a reasonable price? Just once…I would love for #3 to happen! 1. There would be shift in the perfume time continuum and mass market tastes would suddenly lean away from fruity floral dishwater and toward the woody, leathery weirdo scents I love. 2. All perfume shops / houses would offer international shipping. For free. And it would arrive the same day. 3. Whenever I add things up, I’ll always have spent much LESS of my perfume budget than I thought. Gather myself a royal court of all the finest perfumers of the globe. Their duties would be to create amazing perfumes (no flankers allowed), prepare my daily perfumed bath, dress me in my perfumed haute couture wardrobe, throw perfumed petals in front of me for every step I take, etc etc. For example, Jaques Polge would be 1st Crown Perfumer, making a new Les Exclusife every day for my perfumed crown (Yes! Of course I would wear my crown everyday!). Christopher Sheldrake will do my bed linnen, and Uncle Serge is Chamberlain Master of my daily bath. The reformulators of the Dior line are doomed to cleaning duty – scrubbing the floors of my megalomaniac palais with toothbrushes. 1. A magic chest, wherein all the bottles of fragrance that I have ever owned will magically reappear. The original, un-messed-with Lauren, Flora Danica, Emeraude, Youth Dew and all the rest show up, full. 3. A Star Trek-style transporter is installed in my basement, allowing me to quickly, safely and freely travel throughout the world so I can attend Sniffas, visit other perfumistas, go to Parisian perfume pilgrimage sites and other famous perfume shops. 1. Jacques Guerlain resurrected and back in charge of Guerlain. 2. A beautiful quart bottle of early Mitsouko extrait in perfect condition. 3. The same only with Opium from 1977. Hi Patty, Anita and March! Hope you guys are having a great time in the Big Apple! Thanks so much, fragrant Fairy Godmother; you’re the best!! P.S. And tea — yikes, how could I forget the tea?! The time travel wish would let me go instantly to Mariage Freres in Paris and the wonderful macaron shops there and bring back goodies for all my perfume and tea pals. 1) Pierre Guillaume to make me a bespoke perfume – Myrrhiad comes very close. 2) That scalpel thing that Ann talked about in her post on Interlude Man. If I could just have the ability to tone down a note or add/take out a note or two – so many perfumes could be just perfect for me (at least it seems that way)! 3) Greater ability to ‘curate’ the perfect perfume wardrobe (for me and my life) – I need to make better/fewer choices for a really defined collection without listening to/getting caught up in the noise about some releases – I need a fairly godmother’s nose to help! Hi Girls, Have fun at Sniffa without me. Get to meet and befriend all working noses and be able to discuss their work in their vocabulary. Fun post! I love this kind of thing. But I’m unoriginal. 1. Like Hester, I want small size bottles. My preference would be all perfumes (ALL!) would be available in 10ml bottles with a cost no more than $1 per ml. 2. As others have said, no more restrictions on perfume ingredients. We want our oakmoss back! 3. Science creates a clone of civet cats that can have that precious elixir extracted in a totally humane and non invasive way. How to do that? Hey, that’s between the fairy and science! Btw, the fairy resides in a classic Lalique flacon. You guys all have a wonderful time! 1. All the wonderful perfumes I’ve ever owned, in perfect condition and filled to the top. I’m especially missing my original Miss Dior. 2. 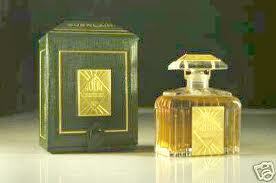 A very large bottle of vintage Guerlain Parure extrait. 3. Access to a perfume study/discussion group in my area (Boston) that would meet once a month and would occasionally feature guest speakers. Wish: IFRA says, “Juuuuuuust kidding! !” and rolls back all regs and suddenly there’s discovered a new way to grow lots of sandalwood and whales make a roaring comeback and there’s ambergris just lyin’ about the place and everyone goes back and releases the original formulations of everything forever. Amen. Wish: lifetime supply of Tolu. I know, not as exciting as vintage Mitsi or Nombre Noir, but it’s what I love the best, and I want never to be without it. 1. Massive vats of all the available concentrations/products of ELPC Tuberose Gardenia. 2. Big ol’ bottle of Tauer’s Une Rose Chypree – my newest love. 3. Oh, nothing too special, just a giant bottle of Kenzo Amour. I just have one. Put them all back the way they were before IFRA started screwing with them. 3. No celebrity is permitted to release any perfume because most of them stink worse than anything that I have ever smelled. 3. & last but not least, 40 or more cancer-free years of my darling telling me how awful I smell! 3. Scent appreciation will be taught at all education levels, Elementary school children will make ‘homemade’ essential oil experiments and bring them home for Father’s and Mother’s day gifts along with their art creations, all the way to Fragrance appreciation courses being taught in adult continuing ed night classes taught by PhD’s in Fragrance history. Can I just second all three of these? I would just add to number one that I would not get migraines from my own perfume. The next ‘thump’ you hear will be the sound of my staff striking the marble floor as I make my decrees…. IFRA is hereby disbanded and for crimes against the perfume world, all members are sentenced to life in Synthetic Chemicals Prison where they shall never again smell a natural subtance as long as they live. Effective immediately, 95% of all perfumers will abandon their current projects for yet more fruity-floral-candy-sugar scents aimed toward the tween market and start designing interesting and unique scents for women (and men) over 25. The house of Faberge will be resurrected and it’s classics revivified in their original pre-reformulation glory post haste. In addition, they will produce 2 new scents per year. One of these scents will be a traditional scent, while the other will be something forward-thinking that will ensure the ongoing competitiveness of the house. LOL Teri I <3 your post. Can I please add one? Said to IFRA: YOU SHALL NOT PASS! Indeed you may! I hereby decree that 5 is 3 in my kingdom! I’d ask the Perfume Ruler of the Universe to help me the perfect scent for my chemistry and taste. I’d have to ask PRotU to do something about the cost I mean why should people with no taste be the only ones who can afford perfume? And my 3rd wish – no reformulations so that means death to IFRA! 3. All the old perfumes that are no longer in production, abandoned by their companies, should have their formulas released in the public so that someone else may have the chance to recreate them. I suggest the founding of many perfume museums all over the world where one will be able to order any historical perfume he/she wishes for! 1. My biggest one is basically seconding your remarks about the Cotys. WANT. 2. A really, really, really good niche perfume store in the city of Austin. And perfume events to go along with it. 3. A trip back in time to wear/discuss perfume with Cleopatra. Susan, love your No. 2 — really, really need a great niche house (a full-size Barney’s will do) in my city, too! Neiman’s, Saks, Nordstrom, Dillard’s and Macy’s are fine but we have no Amouage, Malle, Lutens, Byredo, etc. — waah! Cristalle and Dioressimo back to their origins, and as biggie: cutting down on the pretension and cycnicism of the industry showin in the expensive mediocrity of too many of their products. 1. IFRA will be disbanded and outlawed. 2. IFRA-banned substances will be allowed again in perfume manufacturing. 3. All the discontinued or reformulated classics from Coty, Guerlain, Caron, etc. will be produced again in their original formulations. First wish – I want Serge Lutens house in Morocco, if Serge wants to hang out there with me that would be fantastic! Nordstrom (which I love for their generous sample policy) would carry EVERYTHING in production. All SA’s would be required to say “Could I make you a sample of that?” to anyone sniffing anything ever. And mean it. And not look all snarky. 1) Cure all cases of anosmia and perfume allergies/sensitivity. Let the smell-fest begin. 2) Allow Germaine Cellier to come down from heaven (or wherever she is) to make more divine juices. 3) Theorema. Lots and lots of Theorema. I was going to use one wish to do away with IFRA, but I think that’s already been covered (either that, or it’ll be washed away on the tide of collective loathing from posts). And this is just the begining, mwahahahaha!! 1. As I understand it, the EU has such tight restrictions on perfume ingredients because perfume is categorized as non-essential (unlike medicines, which all have significant side effects). Let’s get our priorities straight, EU! 2. As widespread recognition of perfume as the 8th art takes hold, France takes the lead in setting up national endowments for perfumers to create the perfumes they really want to create, to be sold at subsidized prices, and other nations wisely follow suit. 3. In this environment, the tremendous cultural value of perfume blogs will be appreciated, and the perfume bloggers will all get MacArthur genius grants, Nobel prizes, and the like so that they can support their perfume habits and devote all their time to testing perfume and writing about it. 1. IFRA is hereby disbanded, dissolved, and banished from the realm for all time. There shall henceforth be no more restrictions on perfume ingredients whatsoever. 2. All perfume houses shall be required to reissue each of their reformulated or discontinued perfumes, in their original formulations, for a minimum period of six months, and at a frequency of not less than every five years. 3. I want a never-empty bottle of Amouage Dia Woman. 1 – A precise ingredient list for all things perfumy, on each and every package. 2 – All natural/artisan perfumers send me samples of all their creations for me to review them in French, for a change, and some bottles too so I can set up crazy draws and drag more visitors to my blog and help spread the natural perfume passion everywhere!! 3 – Disapearing of all Ifra/European regulations. 1. Attrape Coeur – need I say more? Ooh, fun! Most of mine have been covered before, but I’ll toss ’em out there anyway. 1. Everything available in 10ml bottles at per-ml costs comparable to the big bottles. They can be marked up a little to cover the packaging, but reasonably. 3. A particle transporter than can navigate time as well as space. I was going to ask for the original Victoria’s Secret Victoria and Deneuve, but I guess I’ll just hop back to 1989 and pick some up. No synthesized hot mess could fool her. And cared not a fig for the moolah. And +1 on everything everybody has said above! 1; IFRA rules will be suspended until someone with actuall intelligence and a reasonable nature looks into them. And then discarded. 2. Perfume hype will cease and prices decrease forthwith. 3. Killian Hennessy will make a bespoke perfume for me. And give me a foot rub with the matching body lotion. I will back everyone on the IRFA rules, and we will stand together and “hadouken” the dickens out of them. Or simply jump in the TARDIS and make sure they never exist. All celebrities shall be drowned in a vat of their noxious creations. I will have a perfume created just for me, that would attract the Man of My Dreams, and cause him to be my slave in all matters… love, lust, pleasant discourse, back rubs… he would write poetry and set it to music just for me… we would lie together by the river and talk of the meaning of life. And of course I would let him go back to his family from time to time, because I’m not that much of a hard hearted cow. 2. Through the miracle of time travel, I am transported to the Paris Caron boutique in the 1950s while the shop is closed; I frolic among the urns sniffing everything until I am totally intoxicated before filling large bottles of Tabac Blond, Narcisse Noir, Muguet de Bonheur, Acaciosa and more to take back with me, and they just happen to have Parfum Sacre in extrait even though it does not exist yet – time travel works both ways ya know! On the way “home” I stop by Dior for a few gallons of Diorissimo. 1. An Amouage a day keeps the doctor away. 2. Let Mysore sandalwood be plentiful and never in danger of being overharvested. 3. I read “The Perfume Lover”. I want Denyse Beaulieu’s love life. Yes, the Mysore Sandalwood! Thanks for mentioning this. I am late in catching up to this thread and was thinking would have to chime in on this point. 1) I want a new technology devised so that when I read a perfume review, my computer will waft how it will smell on me. 2) Perfumes have the same kind of profit margins as most consumer goods, instead of the ridiculous mark-up that exists now. 3) Perfume connoisseurs will get the same respect for our hobby as collectors of art, wine, books and music. 2. Make my favorites much less expensive! 1. Unlimited and self-replenishing supplies of natural sandalwood. 2. Self-replenishing bottle of original Guerlain Sous le Vent. 3. Any time I experience the slightest desire to smell something, whether long gone, newly released, or anything in between, a generously sized sample will magically appear next to me. 1. Husband will suddenly, magically detect notes and differences in perfumes rather than declaring all perfumes a) baby powder! or b) mens cologne! 3. Serge Lutens will adopt me as his long-lost daughter and supply me with endless bell jars… (sigh). Thanks for the fun opportunity to day dream!! 1) Unlimited quantities of all my favorite perfumes, the ones I know now and all the ones that I will meet in the future. 2) No one will have any allergies to perfume so I can wear anything at anytime. 3) A replicator that will produce all of the classics in the original formulation so that I can experience all of the perfume ghosts that are no longer produced. wish 1-divine smelling bespoke perfume that enhances my beauty, makes me healthy, wealthy & wise. wish 2-same for everyone else in kingdom. rule-no restrictions on anything perfume related. 1. Have smell-o-vision invented so that I can immediately sniff any perfume that’s mentioned on a web site (Like a sniff – link). 2. Have a sort of breathalyzer that will choose the best perfume for me to wear that day. Detects my mood, the time of the year, what the occasion is and spritzes the one that’s best; dispensing with all that morning agonizing. 3. Something analogous to photoshop for perfume. I take the basic perfume, and I can amp up any one part of it, or add or delete a piece. Want more leather in Bel Respiro? A little less tuberose in something else? Add a touch of nutmeg to Dzing!? Oh, and like photoshop, I can always revert back to the original. Well, I can come up with a couple more, but I’m limited to 3, and there they are! 1. IFRA gets launched into space. Oakmoss everywhere! 2. Guerlain relaunches two scents a year worldwide and its website joins the 21st century. 3. Serge Lutens decides to sell his entire line with ancillary products at Target. I cant belive my good fortune to meet a fairy in real life. I second what Hester wrote (sorry, I’m not feeling well and don’t have much energy ). Everybody’s posts are good, though! I’d wish for a few things. no IFRA. all reformulations undone as if by magic so everyone could have their old loves forever! and.. a never ending visa card. so I could go though all of my freinds wishlists, and buy them each the bottle of Clive Christian no 1 they’ve been wanting, or 1000ml of Back to Black, an Agonist bottle for everyone, and the priceless gems of the past, available in all their glory, to teach new perfumistas the value of perfumery as art, instead of a kook aid money market.